The real fight against the terror group IS is being waged across schools, homes and websites. 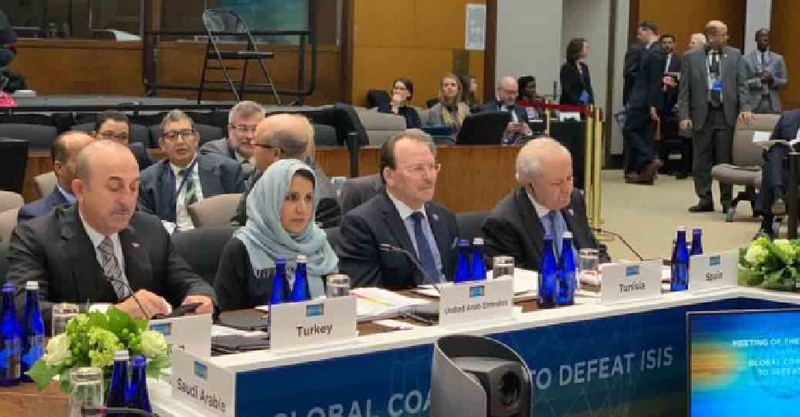 That's according to the UAE's Minister of State Dr. Maitha bint Salem Al Shamsi, who led the Emirates' delegation at a meeting of the Global Coalition Against Daesh, in Washington. The Minister highlighted the UAE's contributions in the battle against IS and its ongoing aid efforts in Iraq and Syria. Those contributions were commended by US President Donald Trump, who also told the meeting that he expects an announcement to be made next week that the Coalition has reclaimed all territory from IS.